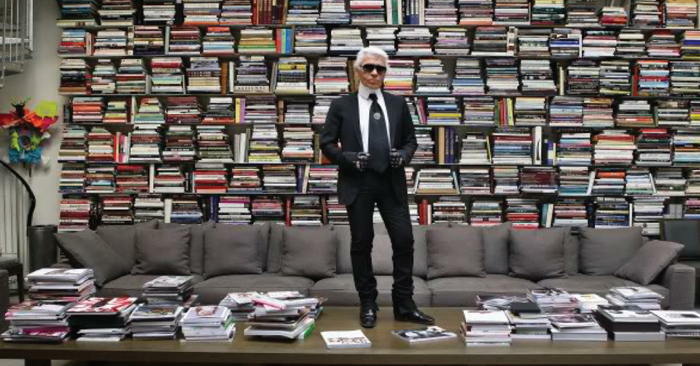 Karl Lagerfeld, the prominent fashion designer, photographer, publisher, and artistic director of Chanel, has very eclectic and unusual tastes in clothing – so I would consider him one example of an eccentric creator. A profile article notes that in his home there is “a narrow room lined with shelves. On the top of a bureau were perhaps two hundred pairs of fingerless gloves, arranged in neat piles according to color (he explained that he chose the gray pair he’s wearing because of the overcast sky). Probably a number of people, including mental health professionals, would consider some of this behavior neurotic. Another example of a creative leader is mentioned by historian Daniel J. Boorstin, who says Beethoven’s apartments numbered more than 60, as he kept moving on to a new one. One of the key benefits of being eccentric (which, of course, is often “in the eye of the beholder”) – that it can open up your thinking to try out new and different approaches to creative challenges. His films are almost always satisfying and exciting to me on multiple levels. What are some of the aspects of Tim Burton’s life and way of working that help him be so creative? Artists may be more willing to embrace that inner ‘thing’ that drives creative expression, even though it may be seen by others as weird. In her Scientific American magazine article The Unleashed Mind: Why Creative People Are Eccentric, creativity researcher Shelley Carson notes “People who are highly creative often have odd thoughts and behaviors—and vice versa. She also mentions other unusual behaviors: “He spent five years in college before dropping out, does not take vacations and has never married. Sounds like a great work environment for eccentrics. Dr. Carson has a number of perspectives on developing creative talents. 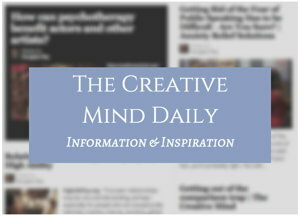 Listen to my podcast interview with her: Shelley Carson on enhancing our creative brain. Also see her book Your Creative Brain: Seven Steps to Maximize Imagination, Productivity, and Innovation in Your Life.